Without action from Obama, Chelsea may not make it to 30. 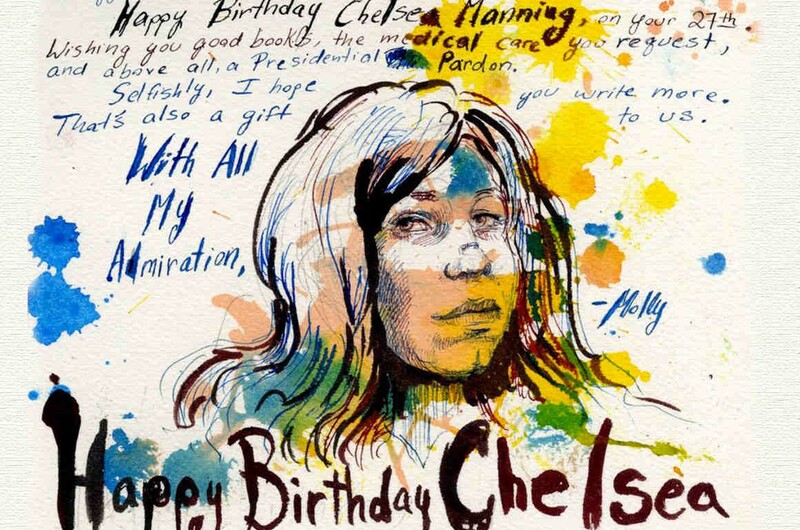 Tomorrow, December 17, 2016, Chelsea Manning will spend her birthday in prison for the seventh year in a row. Arrested at 22, she is now just a year shy of 30. She will wake up tomorrow morning alone in her cell. Like so many birthdays that have come before, she will spend the day away from family and loved ones. In the Disciplinary Barracks at the far corner of Fort Leavenworth, just over the Missouri border in Kansas, Chelsea will keep dreaming of her freedom on the eve of a new year, a new presidency, a new world. She has spent so many of her young adult years locked away and isolated. Relationships that never were have passed her by. Education that was always out of reach still taunts her on the horizon of the unrealized possibilities of her life. A woman who just wanted to live, yearns to be free of the relentless nightmare of incarceration. In the face of everything, Chelsea engages with the world, models accountability, transparency and camaraderie, and imagines a more just future. Even as she is punished when she fights to live or chooses to try to die — Chelsea dares to claim her truth. She does not give up or give in and we are all better for it. This year on her birthday, we have a chance to join her fight by calling on President Obama to free her. Today, Williams’s words are more resonant than ever. We need the vision and imagination of artists, storytellers, dreamers and fighters to guide us in the years to come. We need brave souls to expose the evils of our governing institutions. We need Chelsea. Join me in wishing her a happy birthday. Join me in calling on President Obama to free her. We don’t want to look back next year and mourn her premature death.